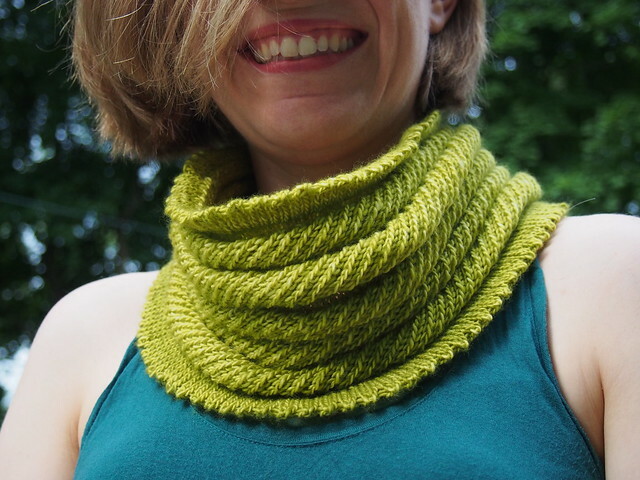 Y’all, I’m kind of obsessed with knitting Willow Cowls now. They’re such a perfect mindless, portable project, and they’ve become a staple of my cold weather “uniform”. And with chilly/cold weather here lasting over half of the year, it’ll be good to have quite a few in rotation, for color variety and just to save wear and tear. So when I was packing for our trip to Ohio, I threw in another skein of Tosh Merino Light (in “Hosta Blue” – I had originally been planning to use these in a striped shawl, but realized I get a heck of a lot more wear out of Willow Cowls than I do from shawls). You know, “just in case”. 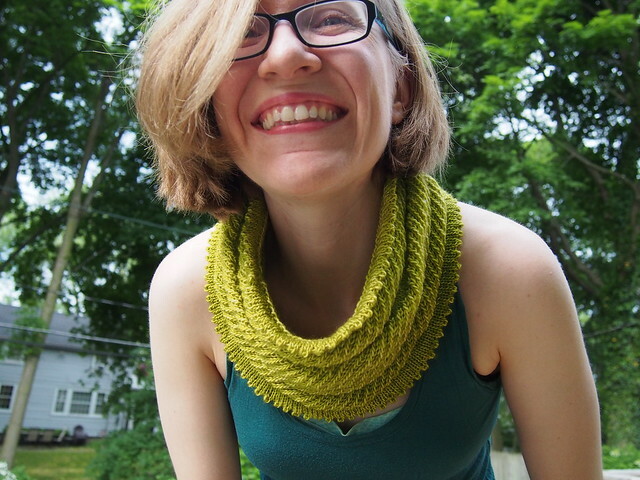 Turned out to be a good plan, because I finished my green cowl about 2 hours into the 6.5 hour drive home! I think I’ll get a lot of wear from BOTH of these colors! I also have a skein of Madelinetosh Twist Light in “Coquette Deux”, which is a lovely deep pink, and I think that will also become a Willow Cowl at some point this summer. At that point, I’ll have a cowl for each day of the work week, but I could still see knitting one in a deep warm brown (I’d have to find/buy yarn for that, though, so that won’t happen for quite awhile) and perhaps a deep foresty green (again, would have to find/buy yarn for that), because that would really flesh out the full suite of colors that I really like to wear. 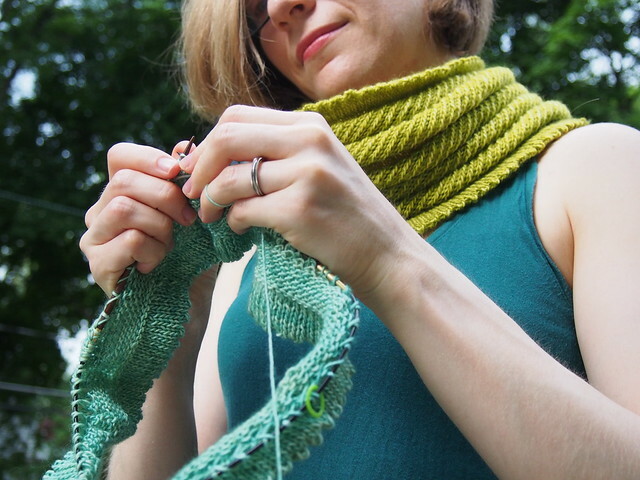 But I want to make progress on knitting down the sweater yarn this summer, so when I’m not traveling, I hope to focus my attention on those less-portable projects. 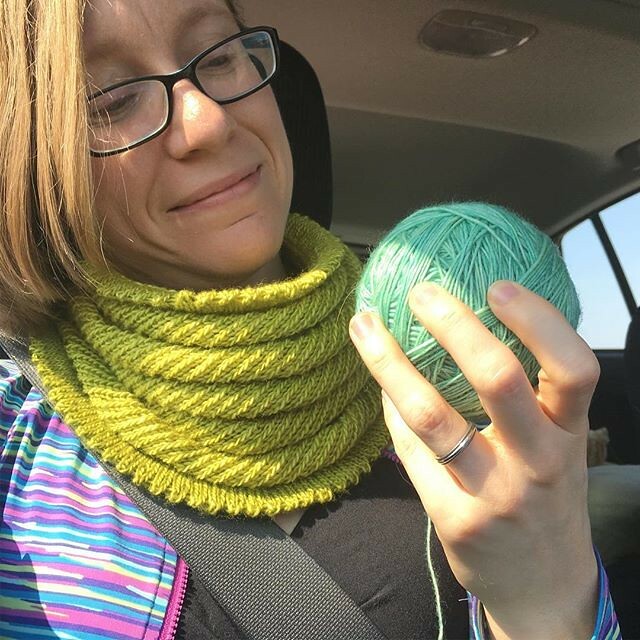 I’ve been doing some planning over in my Ravelry Queue, and realized that I could knit over 10 sweaters with yarn in my stash (and that’s not even counting sweaters of my own design that I have yarn to make). Goodness gracious, do I have a ridiculous stash or what? So anyway, that’s the plan for the summer. I obviously won’t knit all 10 of them this summer, and who knows, maybe some of my plans will change, but those all seem like they’d be great in my wardrobe, and with the neverending winter we had this year, I’m really excited about the idea of having a lot more sweaters in the rotation.